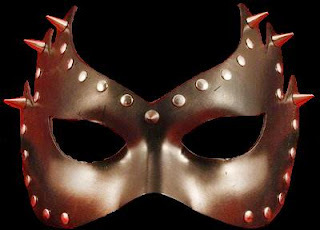 Leather Venetian S & M Masquerade Mask image [found here]. How do some defense contractors, corporations, and international bankers make more money and gain more power? Well, it is by getting average people of most nations to transact through, pay taxes to, have their money system through, be run by, have their health care run by, be dependent on, and look to for guidance from the above mentioned types of international organized crime. People living off the grid and in huts out in the deserts not dependent on Shadow Government need to be drone bombed, starved, made sick, corralled, and murdered. These people who believe they are superior to us, and want us all dead, profit from war. Loan money to all sides of the conflicts. It doesn't matter who wins, as international organized crime then holds paper on all countries and owns and runs everything. The US could soon be a war zone not unlike ones found in Afghanistan, Iraq, Yemen, Libya, etc. The US could soon be contaminated by depleted uranium munitions and other scourges of war. After the UN Agenda 21 gun ban all sorts of weapons may be available in the US through the black market. Grenades, RPGs, rocket launchers, grenades, machine guns, sniper rifles, military knives, bombs, demolition charges, and all sorts of military hardware then might be available. It would only make international organized crime richer, and happier. The DHS and TSA are a scam. With the DHS and TSA international criminals can run their scams and not be punished or interrupted. The US is under Arthur Anderson type bait and switch accounting. Enron is the rule of the day. A pirate corporation owned California utilities and other energy sources. They sold power outside California to cause blackouts. Californians saw their utility bills quadruple. Almost none of the international Enron criminals were punished. Californians who complained were spied on, beaten up, arrested, and even imprisoned for complaining about being ripped off. I would not be surprised if "Big Mouths" were murdered. Enron funded and put into office, Governor Arnold Schwarzenegger, and US President George W. Bush. Who were they beholden to? It wasn't us. Barack Obama's criminal crew is as bad, if not, worse. Defense Contractors own news stations and decide what is journalism and are out to end Free Speech. Your tax dollars were misappropriated to squash competition for voice over IP, video, blogs, websites, and internet use by offering the services free, or nearly free, so that everyone could be spied on, dependent, and controlled by international organized crime. In the end you paid for it. You paid to end the Free Market. Microsoft, Google, etc are all in cahoots. Bigger banks who launder billions in drug trafficking cash grow and buy out the smaller legitimate banks and credit unions. International Corporations who are committing major crimes are using your money to eliminate competition. Criminals are foreclosing on loans you did not agree to make and are taking most of the US land, resources, energy, and business on paper. It is one big swindle. The self-employed, farmers, gardeners, the outspoken, those who raise sheep, goats, pigs, or other livestock, make yogurt, cheese, ice cream, grow organic, live off the grid, camp, hike, hunt, fish, enjoy the outdoors, honor the US Constitution etc are being spied on, beaten up, arrested, tortured, and even murdered. Would you agree to pay $100/day to keep an Amish person if prison for his, or her, following her religious principals and living life independently off the grid? Is it misappropriation of funds to use our tax dollars to further rip us off and abuse us? Should we let International War Criminals who have us under armed occupation, disarm us, deny us Free Speech, and use our US Constitution as toilet paper? 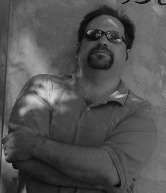 I was long time friends with a Hartford Connecticut Narcotics Detective until he died. He was on the ground floor, and help develop US Department of Homeland Security, DHS. He turned his back when he realized what it was really for. DHS is to disarm the American public and to be enforcers and guards for international organized crime and bankers. My friend told me that 100% of all street gangs, militias, and local organized crime are police infiltrated, or members are covertly murdered or are railroaded to prison. Police use tax dollars to pay for drive by shootings, vandalism, prostitution, police informants to beat up and help frame police targets, rackets, murder-for-hire, drug dealing etc. Do you enjoy what you are funding? As legislation to restrict the First Amendment via government sanctioned journalists becomes reality, The mainstream media ramps up the propaganda to label alternative media as invalid. As MSNBC's audience dwindles, Chris Hayes takes a swipe at the Second Amendment in a new hit piece on Infowars' Dan Bidondi.